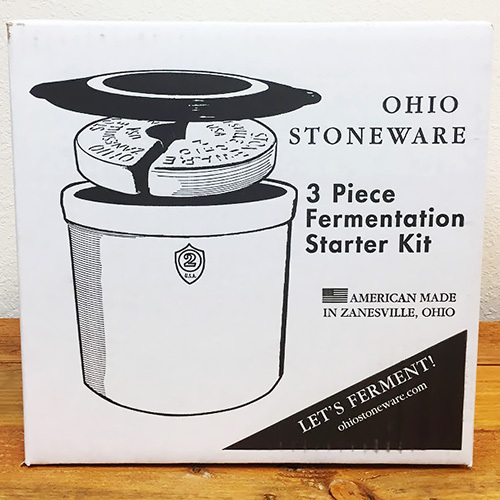 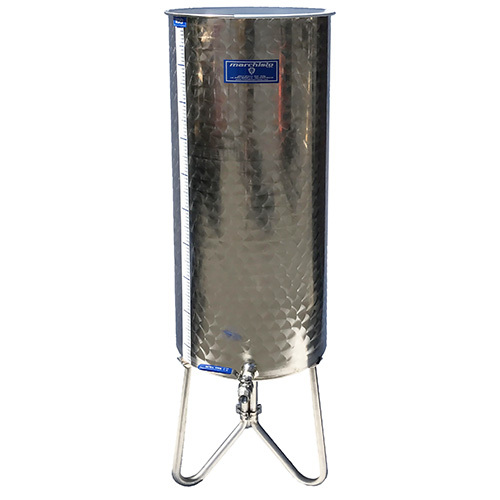 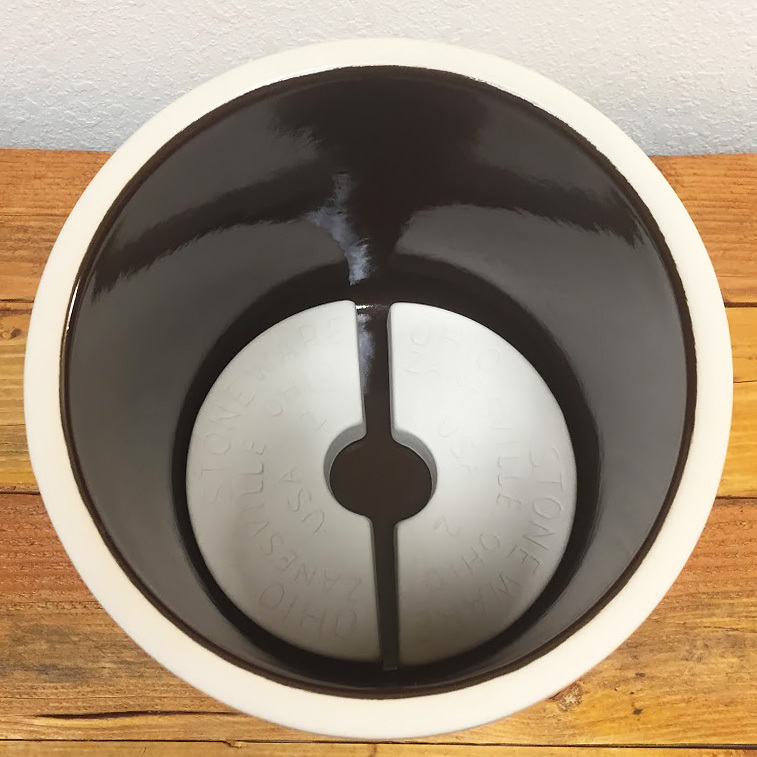 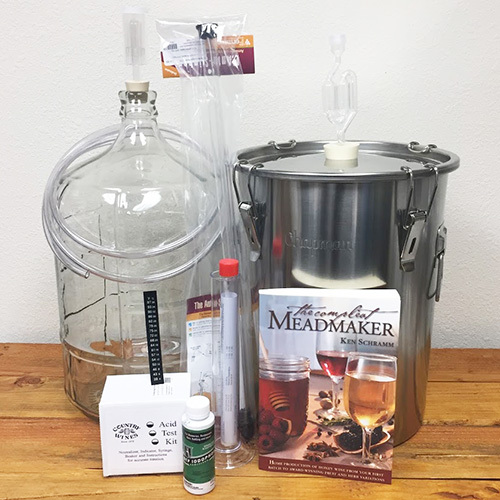 This two gallon 3 Piece Fermentation Starter Kit from Ohio Stoneware of Zanesville, Ohio is a made to be attractive, both in and out of the box, and may be the only crock you will need for your vegetable fermenting adventures. 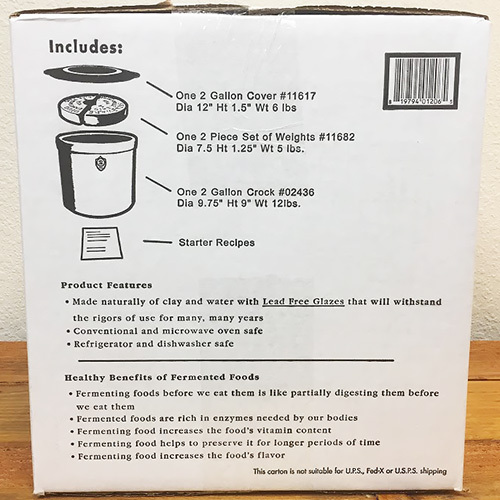 This 2 gallon crock set comes complete with weights and cover. 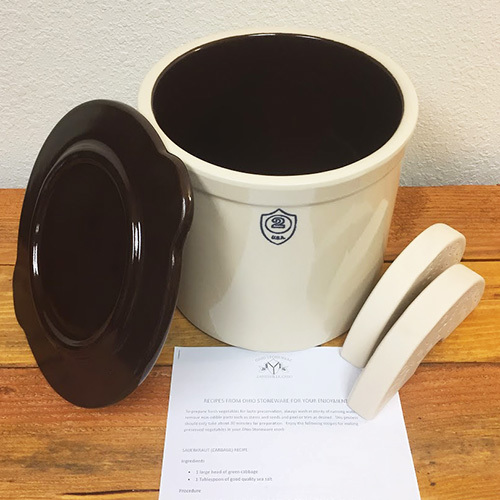 The two semi-circular stone weights rest on top of the food inside the crock and create pressure needed for proper fermentation.